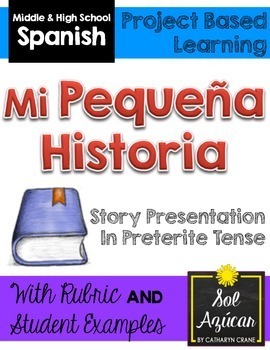 Spice up your Spanish preterite unit with this project in which students write and illustrate a story in Spanish that takes place in the past, using the preterit tense. Great way to develop and assess presentational speaking and writing skills. It is designed to offer lots of choice for students-- in the topic and tone of their story as well as the story presentation format they select. 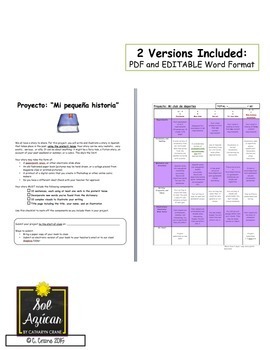 Suggested formats include a powerpoint, prezi, or other electronic slide show, an old fashioned paper book (pictures may be hand drawn, or a collage pieced from magazine clips or printed pictures), or a printout of a digital comic that students create in Photoshop or other online comic makers. 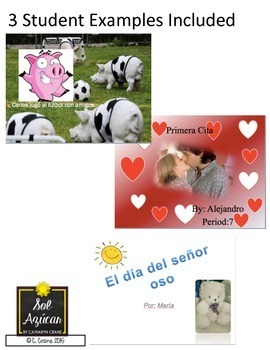 This project will work for any beginning/intermediate Spanish curriculum.